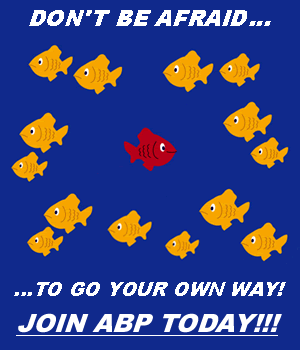 Become A Member Of ABP! We Are Mobile App Supported! In addition to our site's mobile browser view, we are also mobile app supported through the free Tapatalk app available for iOS and Android. You can find the 'install' link to download and install Tapatalk at the top of our website on your mobile browser view. After you install the app, click the 'open in app' button. Then just log in to our forum on the app with your forum username and password. Be sure to bookmark our site for easy access! For more information about the Tapatalk app, click on the image below. ABP Poster of the Month! If you are the owner/admin of a site and wish to affiliate with us, please send a message to our Administrator. Include a link to your site and a brief description of it! Thank you cc008 for the explanation. I noticed you were not visiting and while I would never ask, am glad it wasn't because of my salty opinions of late. I've always believed people should do or participate in whatever made them happy. Still believe it. While I care-take the guild, its not all that fun and the things I gravitate to have nothing to do with comic books. I don't even bother with art anymore and that was my favorite thing. There is nothing to help me with comic books. I totally understand the opinion. I had to leave a forum for Shadowhunters. As much as I love that show (faults and all - and it has many), I can't handle the fandom. My interaction with the fandom has been reduced greatly, because if I didn't do that - the characters I currently like would get polluted and fall into the dislike category. I'm unwilling to have that happen and that means less participation. I'm glad you got a new lease with comic books. I have to find entertainment somewhere else - LOL. Coded a new CSS rule that will make the sidebar on the right disappear on screens less than 1000 pixels, that should make it easier for people using the desktop browser view(as opposed to the mobile view or the Tapatalk app) on smaller devices. Any issues or problems please let me know. Tweaked the size of the text in a few places. Makes some things pop a bit more. Makes some things easier on older eyes(like mine, lol). As an added plus, it brings the text size in posts into alignment with our Smilies , so no more throwing off the line spacing. As always, Any issues or problems please let me know. I found that the further I removed myself from CBR's x-boards, the more my interest in the franchise I loved most started to come back to me. I think I'm going to continue staying away from there, only popping in from time to time to see if there's any previews or arts posted, and let my own opinion dictate what's good and what's not. On a similar theme, neko, I'm terribly sorry I haven't visited the Guild in quite some time. I was in complete separation mode from the X-Men for a while. Clean slate sort of thing. And if I continued to visit there (and the Deadpool Bugle as well) I would have been influenced to keep picking up books I wasn't really enjoying. I don't know if I'll be more active in any of those places except here, but I hope everyone is well there. @icefanatic, I read Rosenberg's Astonishing and loved it. His Punisher is fantastic and has been since he took over with the War Machine arc. I'm glad to see you've given Uncanny a vote of confidence. It makes me happier that I've come back to the book knowing that. 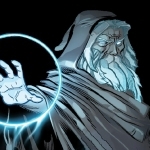 With this move, as Hickman's one of my favorite writers, I will at least leave the door open to checking out his two minis... which will most likely lead to a relaunch of the line, I'm speculating of course. I came back at the relaunch of Uncanny X-Men(yep, another X-Sucker here), and was about to drop it again after the first ten issues ended up basically just being a prelude to a story I didn't have much interest in... but I stuck with it because of Rosenberg taking over solo. So glad I did! I have enjoyed every issue he's done so far. I was sorry to see his Astonishing X-Men run come to a quick end, but if it meant getting that quality on Uncanny X-Men, I'll take it. Pair that with Jonathan Hickman doing House of X & Powers of X in a few months and I am excited and dare I say... optimistic... about the X-franchise for the first time in many years. 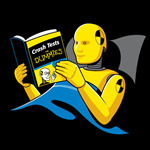 heh heh, well I hope the book is good. I don't see myself buying anything for a bit. It does depend on what team Gambit ends up on. I know lol I'm such a weakling. LOL .... you weakling! I tease. I hope its good. So I'm a sucker. I'll admit it. Cyclops is back and I'm a fan of Rosenberg's work on pretty much everything. So I'm returning to Uncanny X-Men. I know Scott isn't in the first 10 issues and doesn't come back until the Annual. But I bought them (for cheaper) anyway. Because I'm a sucker. And the X-Men are in my blood. Made a bit of a change to how thread lists are displayed. Got rid of the "Created By" column that is the default for Proboards. You can now find that information under the thread title. Been contemplating the change for a while. I think it makes things tidier and also less cramped when viewing on a smaller device. More of the same. I have combined Threads & Posts to one column and done likewise with Replies & Views. Any issues or problems please let me know. © 2014-2019 A Better Place - A Fandom Community Forum Happy Words and the Happy Words Logo are ™ and © by A Better Place 2014-2019 All characters, their distinctive likeness, logos and associated artwork are ™ and © by their respective holders. No endorsement or association of, with, by or for any company or product is real or implied. To hashhtag a post, type [#] immediately followed by the word you wish to hashtag. Use letters and numbers only, no spaces or special characters. When you post, the  will disappear and you will have a clickable search link. Posts made via mobile view will not be listed in the "Recent Threads" Sidebar. (sorry Fuzzyblueelf).